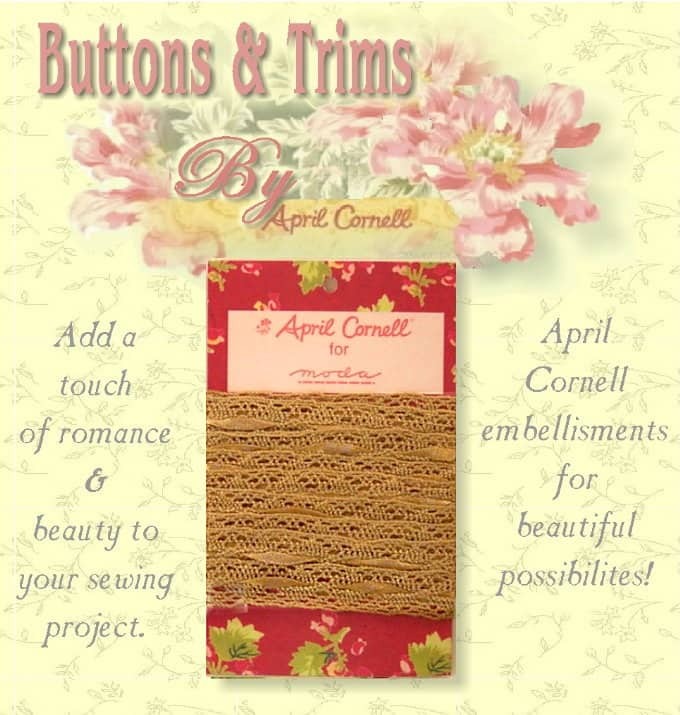 Beautiful collection designed by April Cornell exclusively for Moda! This is a gold color crocheted lace with satin ribbon woven throughout. Trim is approx. 5/8″ wide and 54″ long. It comes packaged on designer card as shown so it will also make a great gift idea. 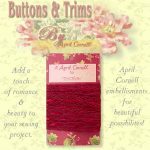 Trims make great embellishments on sewing, crafting and quilting projects. 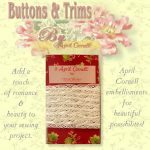 See what a difference this April Cornell trim will make for you.